Communities and businesses are realizing that off-the-shelf apps just don’t meet the specific needs of their audience as well as a custom app can. A custom app by 365 Degree Total Marketing’s team of designers and programmers can be great for walking, biking, hiking or driving tours of your community, museum exhibits, or streamlined business processes. 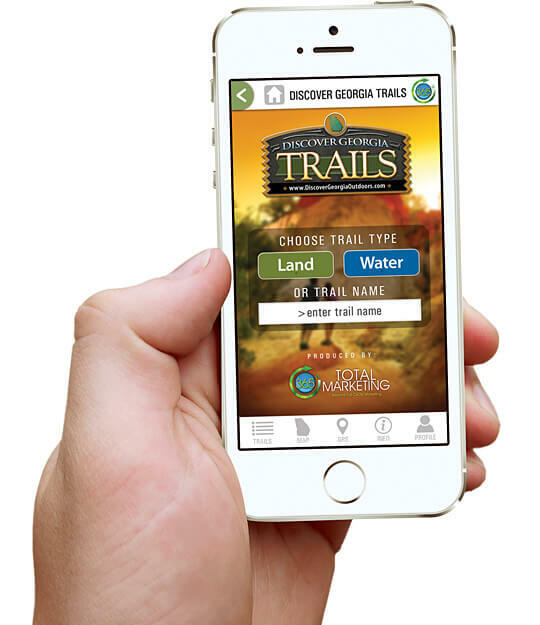 Already, clients have commissioned 365 Degree Total Marketing to create apps that showcase North Georgia’s waterfalls, that take visitors on a turn-by-turn tour of a historic district, and that detail the points of interest along a popular bike trail. An app puts your visitor in charge of their own tour, on their own time. Apps are cost-effective ways to interact with your audience while making things easy for them. And because mobile apps can be updated regularly, you can give your audience the latest information without having to reprint collateral. Yes, I need an app! Enter your information below and hit send to find our more.